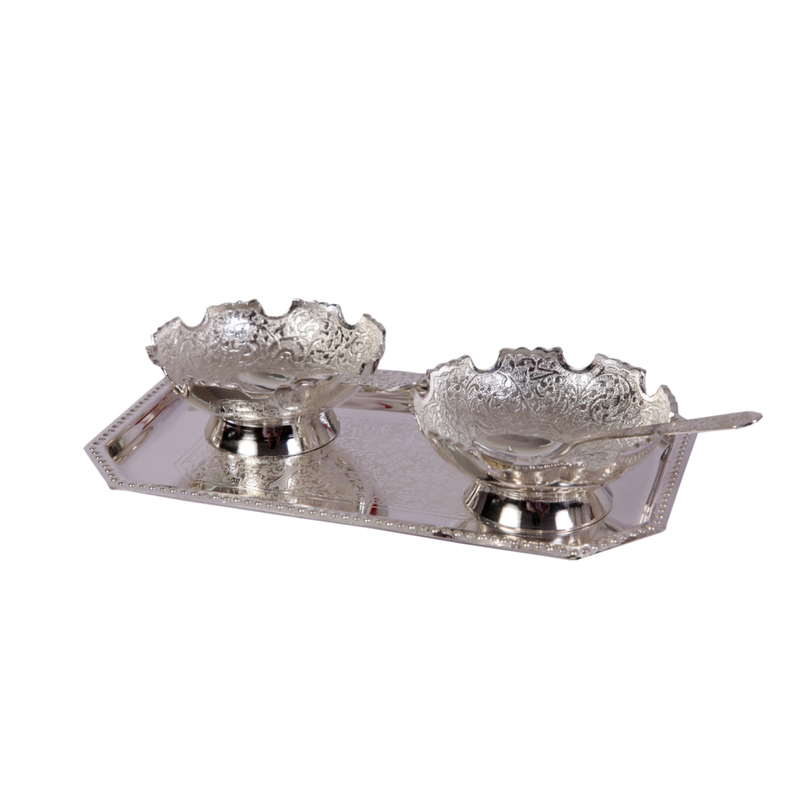 The German Silver 2 Bowl Set with Spoons & Serving Tray is the best choice for buyers who intend to awe their guests with their Read More..aesthetic selection of cutlery sets. The ornate design on the two bowls and the assorted spoons makes them ideal for enhancing the appeal of the food served in them. Moreover, the classy serving tray that forms part of this set makes it more convenient for the users to carry the bowls with ease. Show Less..